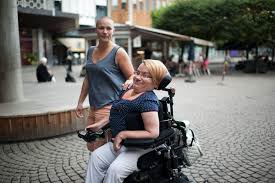 International Women’s Day- This Girl Can! Unity Radio 101- One Community weekly broadcast. 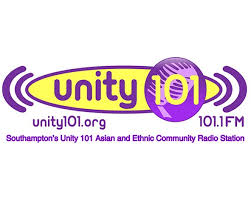 We are really excited to let you know about this great partnership between One Community and Unity Radio 101. Every week we get to interview someone interesting who is volunteering in our community and making lives better. Here is this weeks podcast with our very own Hayley Hamlett talking with Sharon Noble who has come in today to talk about her charity: Royal Navy Royal Marines Children’s Fund. Click on the Unity101 symbol for Tuesday the 5th’s podcast. The Chandlers Ford Waitrose have selected One Community as one of the charities you can vote for. It means we have a chance to get some funding through the scheme. Money raised is going to our Day Activity Services. When you go to Waitrose, please pop a token in for One Community after your shopping. Here are some keen beans in a short clip (just over two minutes) showing you how it is done. Are you part of a local organisation? 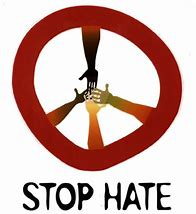 Every couple of months we have a meeting of local organisations. This is to get you to meet one another, share insights and learn something new. 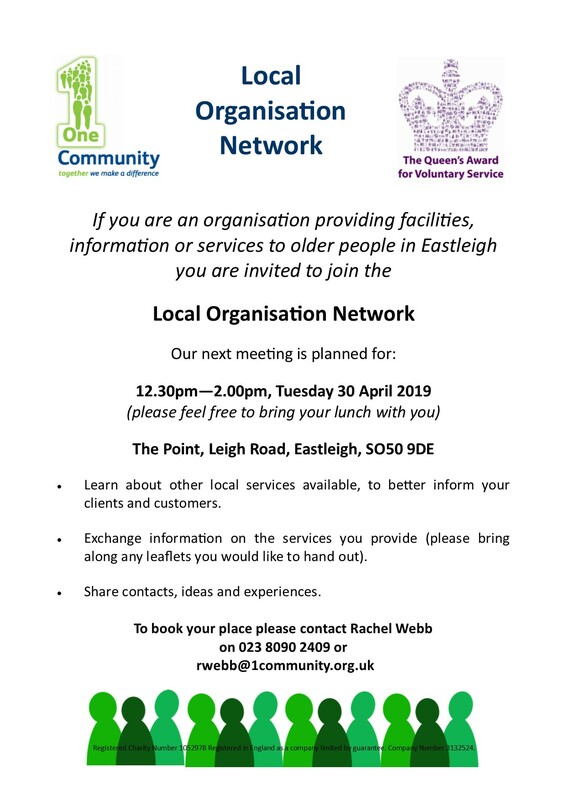 Here is a poster with all the details for the next session on the 30th of April 2019 from 12.30-2 at the Point in Eastleigh. We are VERY excited to have the Southern Co-op select our Eastleigh Young Carers CHOIR to support until November in 2019. PLEASE sign up and support us. Co-Op will give us 1% spent on co-op own brand goods and services which will help us run this fabulous group without charging you a penny. Every time members shop at the Co-op, 1% of what they spend on Co-op branded products and services helps fund community projects. Members can shop at any Co-op Group stores across the UK to raise money for a cause.